When it comes to who should be in the Pro Football Hall of Fame, most inductees are in for the stellar performance over their careers entirety. Others are in based upon producing some of the greatest moments in football history. A third definition in the eyes of the The Chancellor is “Can we talk about the era in which a player performed without his name coming up?” Ken Stabler of the Oakland Raiders fits the bill in all 3 of these categories. 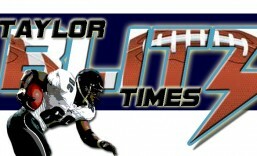 Here in Taylor Blitz Times we have chronicled the long time bias against former Raiders when it comes to enshrinement. Head Coach John Madden’s field general has yet to be elected to Canton. Stabler was a throwback QB who called his own plays and routinely led the Raiders into the playoffs during the 1970’s. Along with Fan Tarkenton, Roger Staubach, and Terry Bradshaw, these four ruled the 1970’s and arguably Stabler had the most legendary moments. On December 23,1972 in the AFC Divisional Playoff in Pittsburgh, Stabler, whom Madden had been grooming since 1968, was the wild card needed to change the tide of a game down 6-0. Desperate for some offense, John Madden inserted a young, mobile Kenny “The Snake” Stabler in for an anemic Daryle Lamonica which produced immediate results. On a last second desperation drive, the Raiders came scrambling downfield with a young quarterback in his first significant action in an NFL playoff game. At the Steelers 30 with less than 1:30 to go, Stabler avoided the Steel Curtain, took off and scored on a 30 yard TD run to give the Raiders their first lead of the game 7-6. “The Snake” had done it!! A hero was born!! There was bedlam on the Oakland sideline and with 1:13 to go began to make reservations for they would host the AFC Championship Game against the undefeated Miami Dolphins. However this was overshadowed by The Immaculate Reception that happened 4 plays later. Then later that day Roger Staubach had his 1st famous comeback in a 30-28 win in San Francisco. Yet Oakland knew they had their quarterback of the future and he could perform in pressure situations. Like a young George Blanda, who had a magical run during 1970, the Raiders could depend upon Stabler’s heroics for years to come. Over the next 5 seasons as the starter, Stabler guided the Raiders to the AFC Championship Game. An NFL record. He was a daring quarterback who was a true river boat gambler. This led to some interceptions but even more daring touchdowns. He was old school yet enjoyed wine, women, and song out in the nightlife. He still came in and put in his work and teammates respected him and would follow him anywhere. In 1973 Stabler completed an unheard of 62.7% of his passes, for 1,997 yards 14 TDs and 10 interceptions. The Raiders won the AFC West and got revenge on the Pittsburgh Steelers with a 33-14 win in the playoffs. The Miami Dolphins, on their way to back to back championships, beat them in the ’73 AFC Championship 27-10. Take a wild guess who was there to get revenge in the 1974 AFC Divisional Playoff? Stabler ended the Dolphin dynasty with the touchdown to Clarence Davis in what became known as The Sea of Hands. One of the most famous games in NFL history. Although the Raiders lost the AFC Championship the next two years to the rival Steelers, they came back in’76 with a vengeance. They recorded a 13-1 record and sought revenge on those Steelers yet needed another “Snake” come from behind miacle win in the AFC divisional round to get there. The Raiders would go on to win the AFC Championship 24-7 over Pittsburgh, then Super Bowl XI over Minnesota 32-14. He had guided the Raiders to that elusive championship in an era when it seemed they would be destined to always be the bridesmaid. He had several great performances left but becoming a champion was the ultimate. In defending that championship in 1977, Stabler guided Oakland to their 5th straight AFC Title game in Denver. They fell short 20-17 in getting to Super Bowl XII. How much did that have to do with the fatigue from the 6 quarter epic, Ghost To the Post 37-31 victory over the Baltimore Colts 1 week before?? Stabler’s Raider career was filled with great highlights and one important Super Bowl championship. In 1976 he had one of the greatest season a QB could have. He went 194 of 291 for 2,737 yards 27 TDs and 17 ints and an astonishing completion rate of 67.7% and a 103.4 passer rating. Remember this is a guy who extolled the Raiders philosophy of pressure football while throwing the ball deep. Before his retirement in 1984, he did play for the late Bum Phillips twice in Houston and with the New Orleans Saints. Yet it was the magic he deftly showed out in Oakland that should have him in Canton. You can’t even pick out the best quarterback/receiver combo from the 1970s. Was it Stabler to Cliff Branch who should be in the Hall of Fame?? Would it be Stabler to TE Dave Casper who is in “the hall”?? 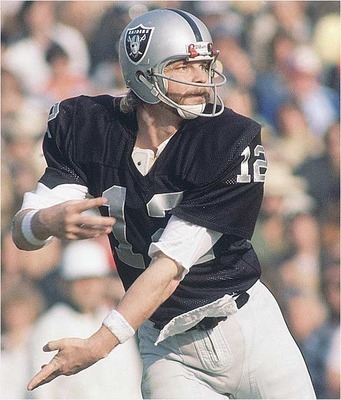 No…it has to be the obvious in Stabler to Hall of Famer Fred Biletnikoff…right?? If all of his receivers are in and being considered for the Pro Football Hall of Fame what does that make of the quarterback who helped get them there?? Unfortunately with his passing on Wednesday, we will have to lobby for Stabler to be enshrined posthumously. This entry was posted in Players Who Should Be In the Hall of Fame and tagged Bum Phillips, Cliff Branch, Dave Casper, Fred Biletnikoff, John Madden, Ken Stabler, NFL, NFL History, Oakland Raiders, Pro Football Hall of Fame. Bookmark the permalink. Thank you for this article. Stabler is certainly worthy of enshrinement in the HOF. I started a petition drive in August of 2014 to this end and have gathered nearly 6,500 signatures to date. I plan to deliver the petition later this year. Forgot to add Otis Taylor to Chiefs list of deserving candidates to HOF….strange that none of the Chiefs Dawson’s receivers are in the HOF…..? He didn’t do it by himself….Both Casper and Biletnifoff are in for the Raiders and Powell and Branch should be! Yes… I will revisit several AFL players who should be in. Taylor is one along with Robinson, and Jerry Mays… two others I think of and another that comes to mind is EJ Holub. Everyone points to Bednarik as the last 60 minute NFL’er… but who else played defense LB and offense C….at two different times and excelled at both. Many more articles coming. My enemy is finding the time…..